It’s one of my my favorite times of the year…FALL TV PREMIERE SEASON! What are you guys watching!?! Are you sticking to your tried and true shows and not trying anything new, or are you like me and like to give them all (or most of the new shows) a chance? So far this season the few new shows I’ve checked out I REALLY like, so I thought I’d give my thoughts and then share what’s coming out in the next few weeks! Did you watch Gossip Girl or Pretty Little Liars? I was an BIG fan of BOTH shows and when I found out about this show (via Shay Mitchell of PLL) I just knew I had to check it out! This show is so eerie and creepy, yet completely enticing and intriguing. It takes you on a journey of what someone will do for love. When someone says they’ll do anything, this is the definition. You’ve got to find out how crazy this show is, why it feels like a grown up version of Gossip Girl and Pretty Little Liars and why I’m truly addicted! It’s not too late to catch up! Who doesn’t love a Josh Groban/Tony Danza moment? 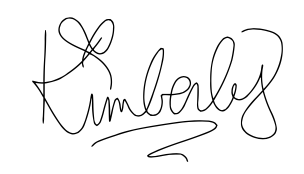 Well, to be honest this is the first, but I absolutely love them both separately. If you haven’t seen Josh Groban act before, I gotta tell you he is quite the actor and pretty darn funny! You’re probably thinking there are so many “GOOD” shows on TV right now, i.e. The Good Place, The Good Doctor, The Good Fight (spinoff of The Good Wife), but when you watch this show, you’ll truly understand that this title makes complete sense! Give it whirl and see whatcha think! I’ll definitely be watching! Now let’s talk comedies, and finally a new comedy that didn’t make me roll my eyes and make me wish it was over! This show literally made me laugh out loud with each character being so completely different and unique from each other. You’re right, the concept of the show isn’t revolutionary, but the writing and the actors are fantastic! I absolutely loved every minute of it and could EASILY check this box as binge-worthy! 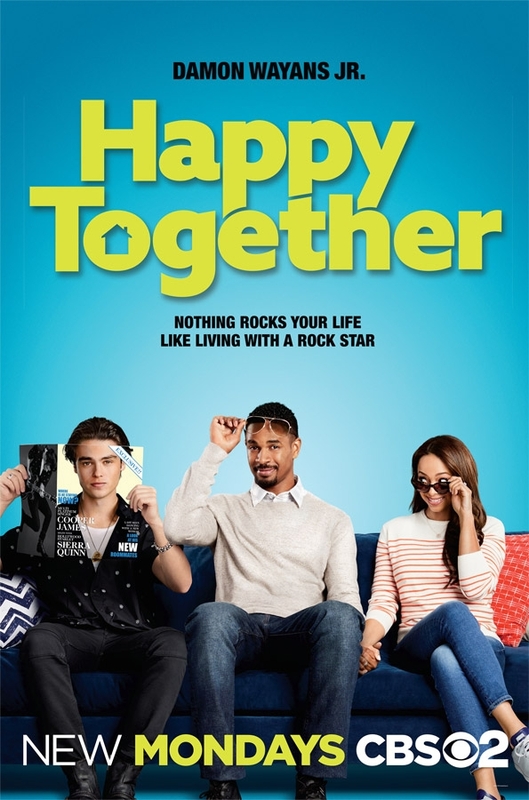 Another fabulous comedy that goes inside the head of a women who FEELS BAD about regular, every day tasks in her life, but somehow finds a happy medium between her work life and home life. From Executive Producer extraordinaire Amy Poehler, starring Sarayu Blue, who might I add is HYSTERICAL, you sure don’t wanna miss this laugh out loud comedy! We already know how incredibly funny Damon Wayans, Jr. can be, but are you all familiar with Amber Stevens West?! I’ve followed her acting career since her days back on the show “Greek” on ABC Family. She did a BUNCH of stuff in between on shows you’ve all watched, but then she was on “22 Jump Street,” and I was like YOU GO GIRL! Then a few more shows and of course the most recent show I watched that she was in was “Ghosted,” which I loved! So, when I found out she was in a new comedy, I was so down! I mean…this cast is ridiculous! Remember Deacon from “King of Queens?” He’s in it! 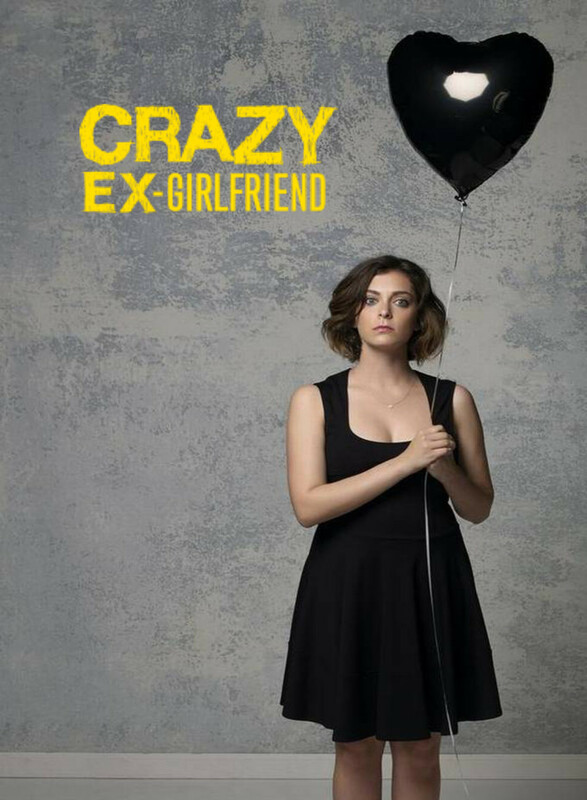 How about crazy Karen from “Crazy Ex-Girlfriend? ?” Well, to be fair, Stephanie Weir has been around for a LONG time, so you’ll know her, but guys, WATCH it, it’s SOOOOO FUNNY!!!!! I’m obviously a massive fan of THIS IS US, so I’ve been keeping up week to week on the new season and I absolutely love it! 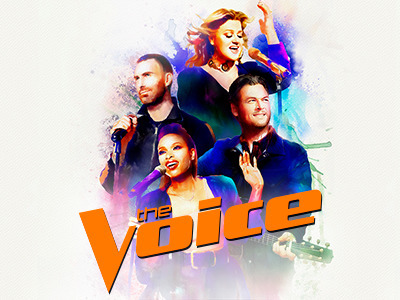 Weirdly enough, this season I got super into THE VOICE and I’m obsessed with Kelly Clarkson and Jennifer Hudson on there! They are hysterical and I’ve actually been catching myself laughing out loud! I’m a HUGE fan of SUPERSTORE, love the whole cast, the storyline and the setting. It’s a show that keeps getting better and better! 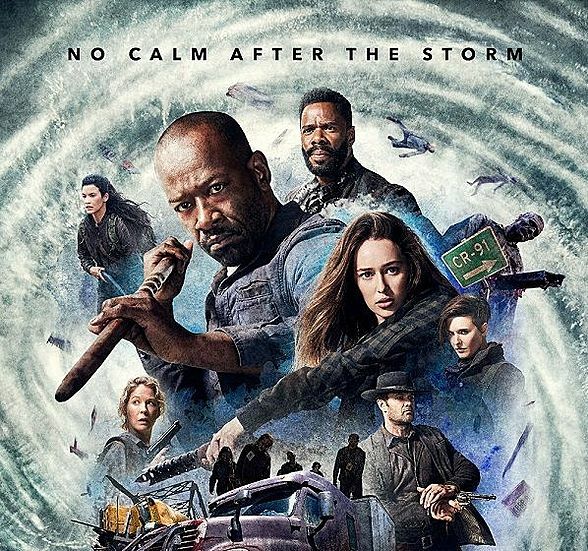 I Just finished the latest season of FEAR THE WALKING DEAD, which I was completely hooked on. The new showrunners absolutely knocked it out of the park! Now moving on to somewhere else in that same world, THE WALKING DEAD just premiered, so of course, I’m still hanging on. Some people have fallen off, but I’m sticking around to see what’s gonna go down! Who else here watches THE GOOD PLACE? I absolutely LOVED the first two seasons, and so far this season is a little different, which doesn’t mean bad, so i’m excited to see where the storyline goes! AMERICAN HOUSEWIFE is another hilarious show that just premiered and I am STILL loving it!! Every single cast member is so funny and easy episode is so unique and current. 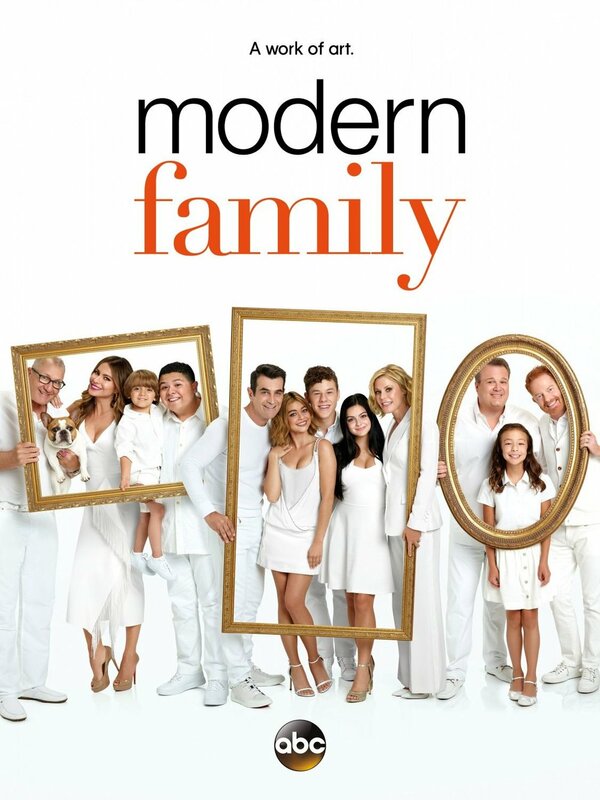 Obviously I’m STILL on the MODERN FAMILY band wagon, and I’m loving this season! This show in my opinion just doesn’t get old! What New Shows Am I going to START!? 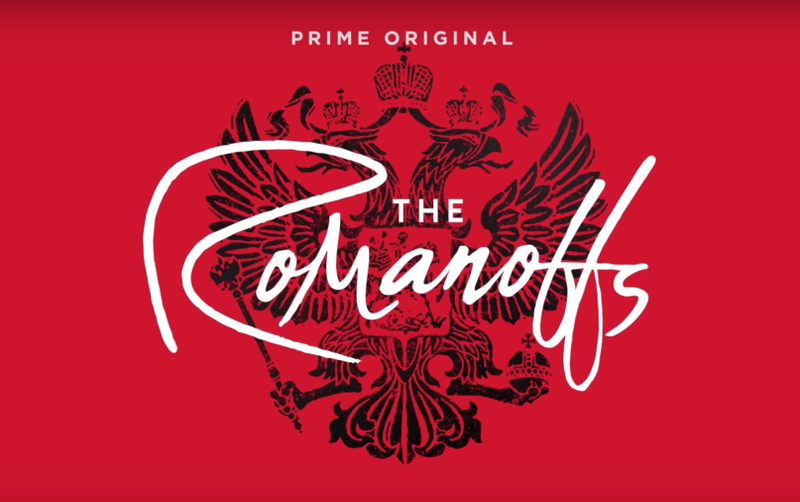 The Romanoffs - (Streaming on Amazon) I’m super intrigued by this show because not only did I just recently learn more about their family history more depth, but I’m very excited about the format of this show. It’s a contemporary anthology series focusing on each family member who claims to be a descendant of the Romanoffs. Also, this cast is INCREDIBLE and it was created by the the creator of Mad Men, sooooo….. Camping - (HBO) Ok, I’m pretty pumped up about this show! This cast is absolutely spot on and it’s from writers Jenni Konner and Lena Dunham, both of “Girls” from HBO, which I thoroughly enjoyed! I can’t wait to see what kind of magic they throw on this show. Also, I’m a big fan of Busy Philipps and she guest stars in it, so done and done! 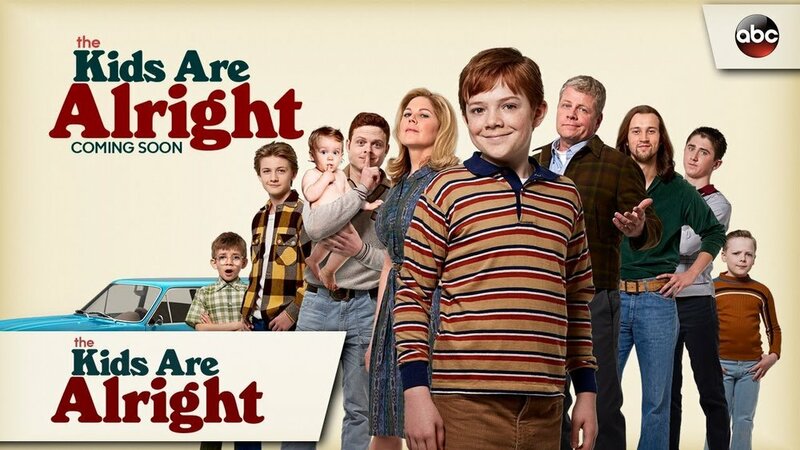 The Kids Are Alright - (ABC) A comedy which takes place in the 70’s, starring Michael Cudlitz (who is best known in my world from Walking Dead) and totally rocking a new ‘do, looks like a big, fun, family-friendly comedy that I can’t wait to watch! 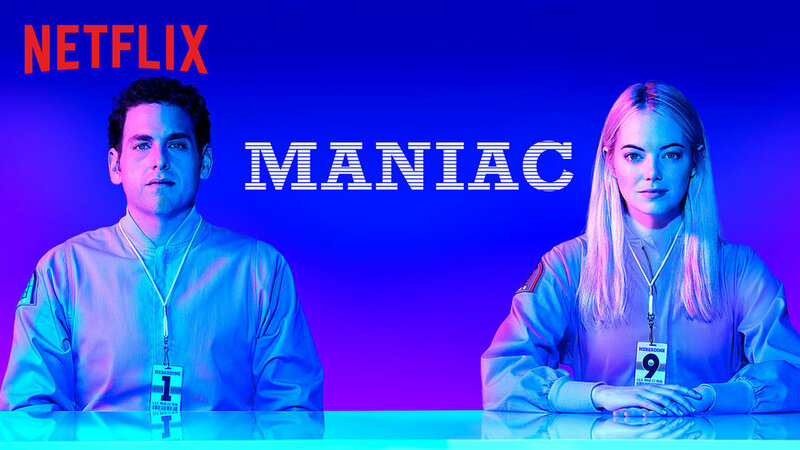 Maniac - (Streaming on Netflix) I’m going to VERY honest - I know absolutely nothing about this show and I kind of like it that way! All I know is that Jonah Hill and Emma Stone are reuniting and I couldn’t be more excited. Busy Tonight - (E!) Lastly, I will leave you with this. A late night talk show hosted by the fabulous and hilarious Busy Philipps! This show will air four nights a week and will be a guaranteed good time!! Alright ya’ll, what are YOU watching!? Anything not on this list!? I clearly love television!